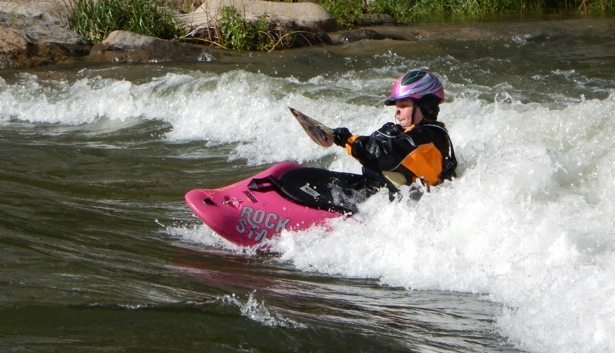 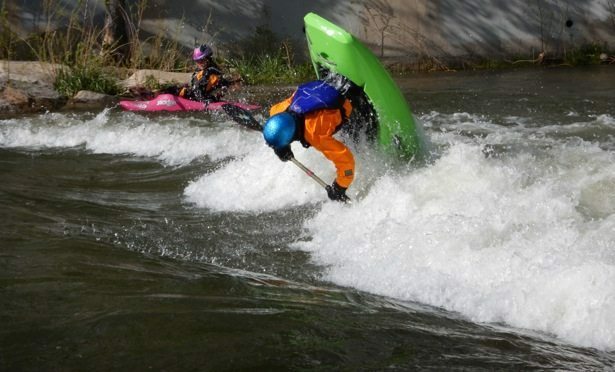 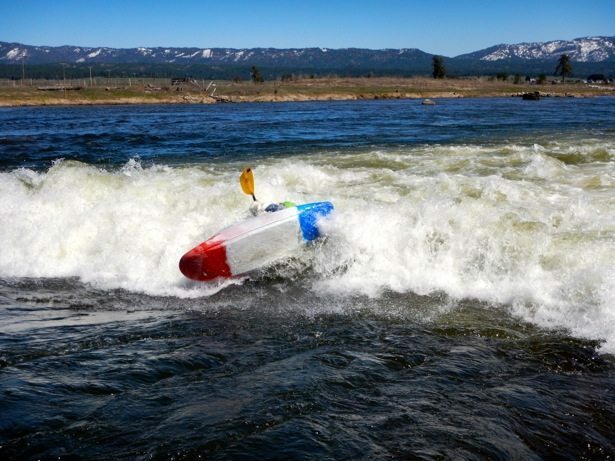 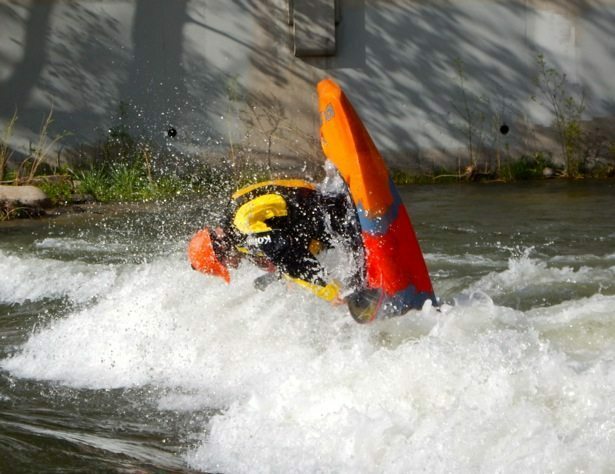 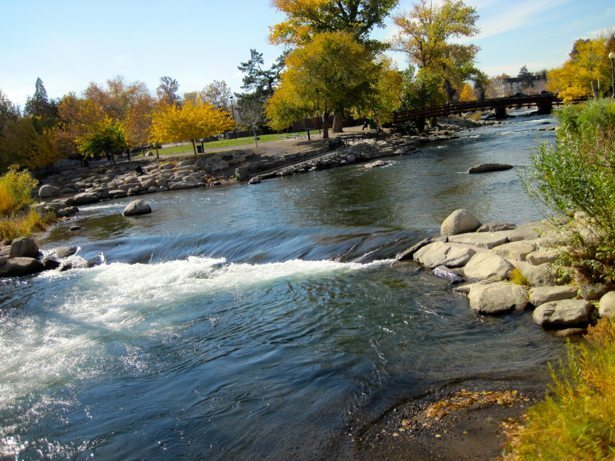 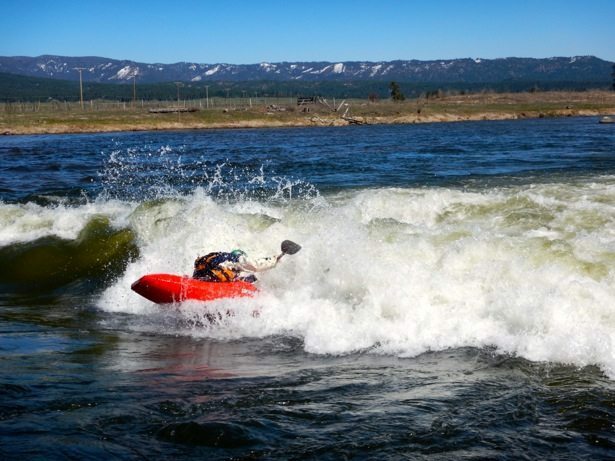 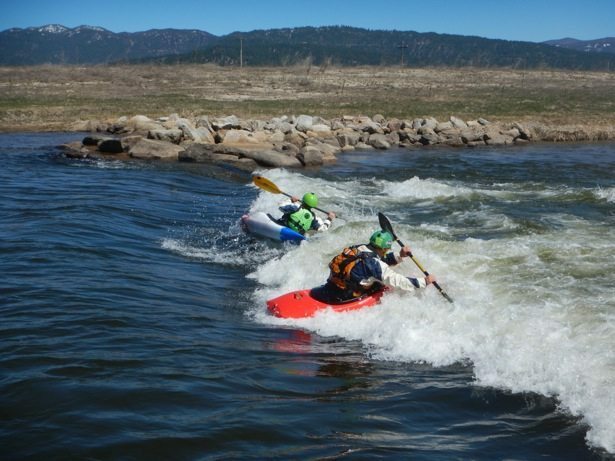 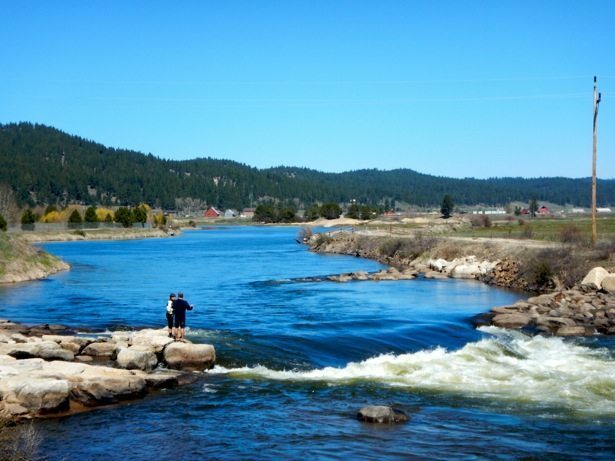 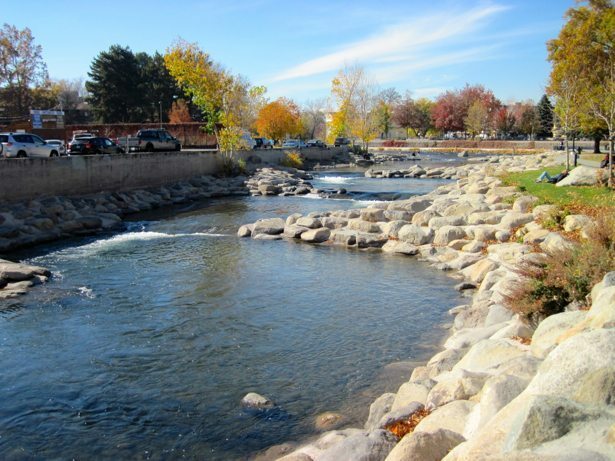 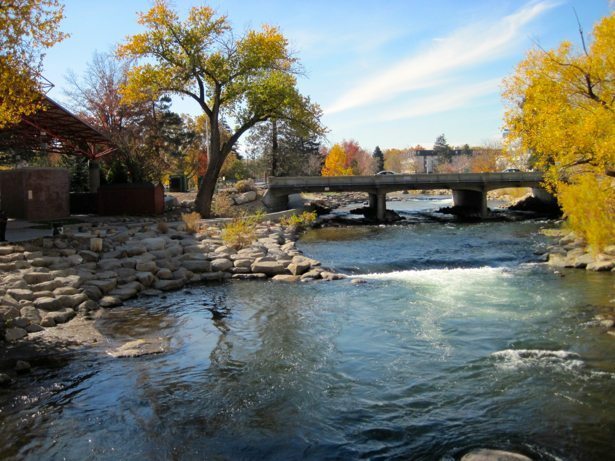 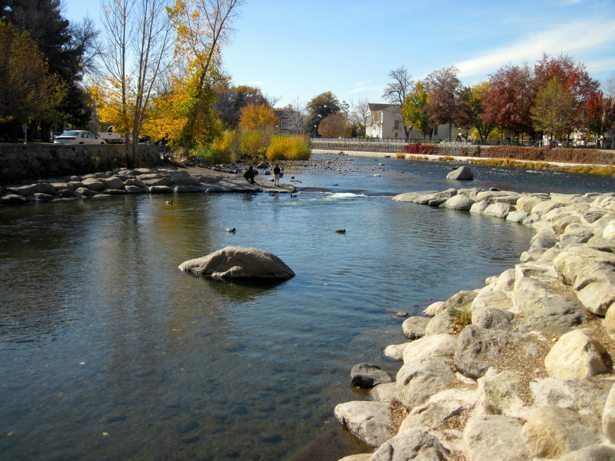 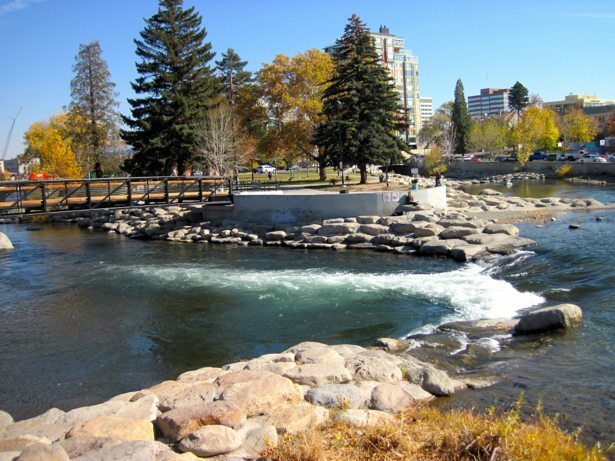 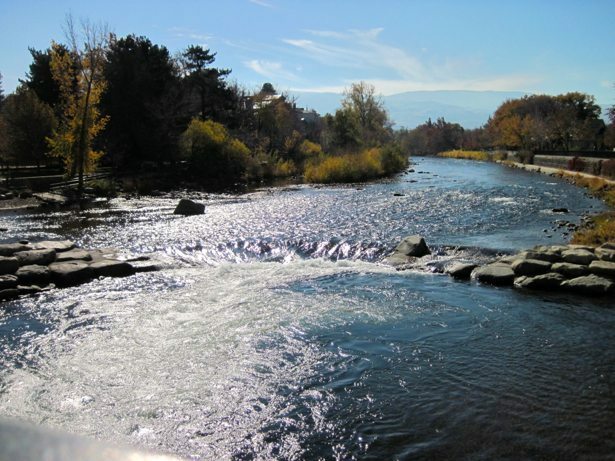 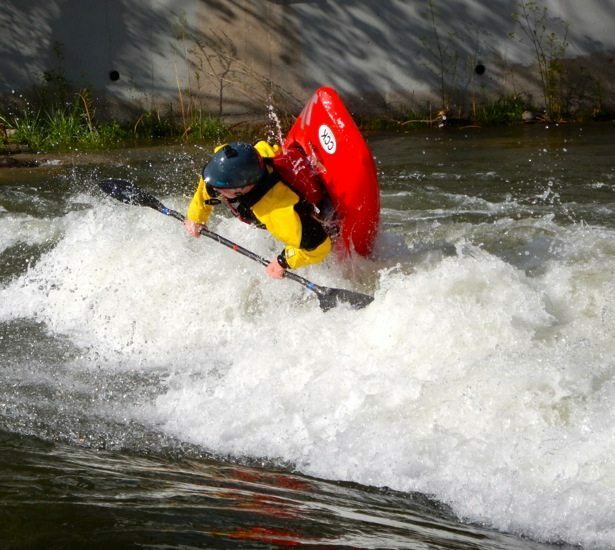 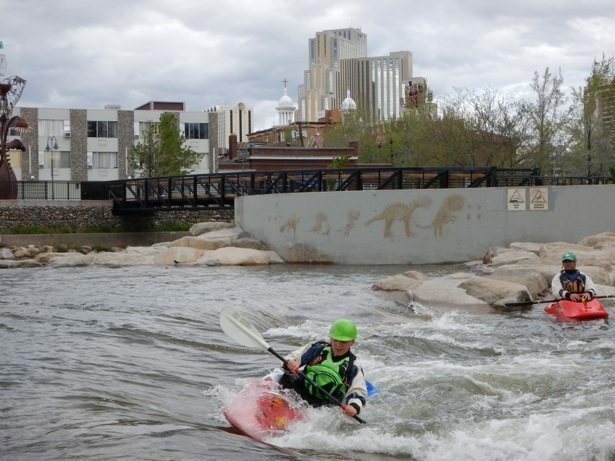 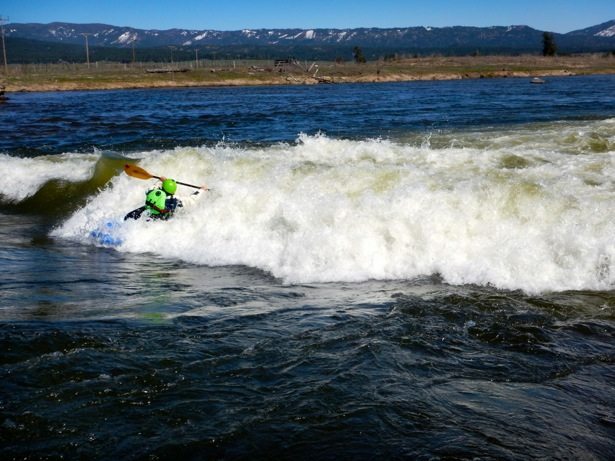 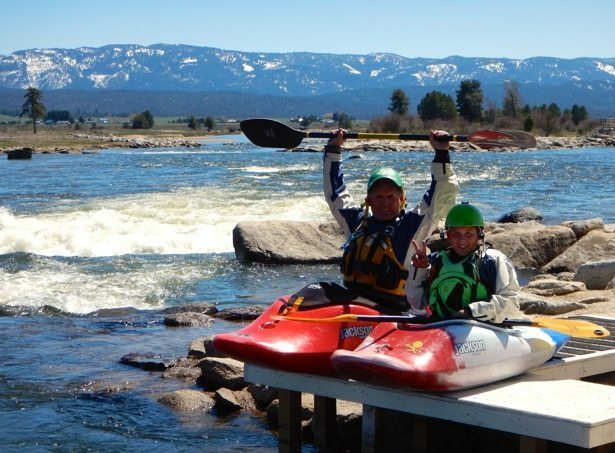 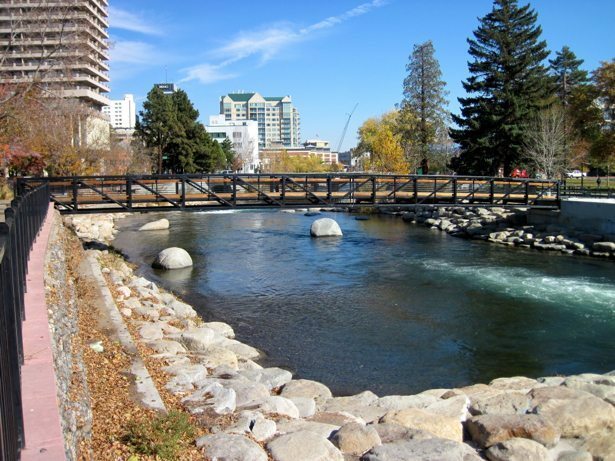 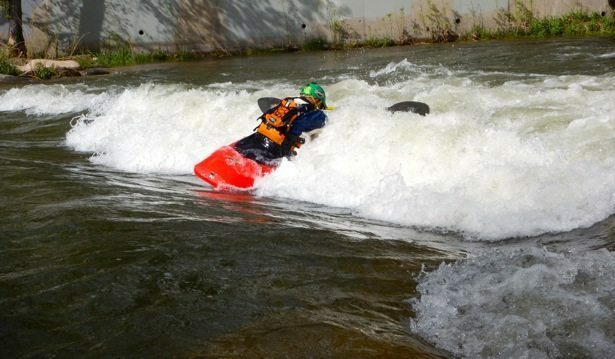 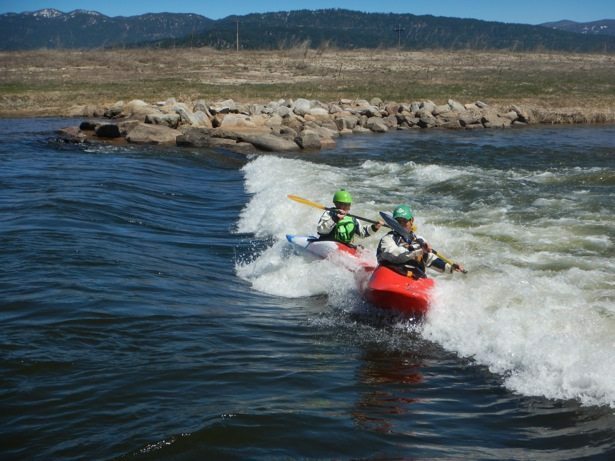 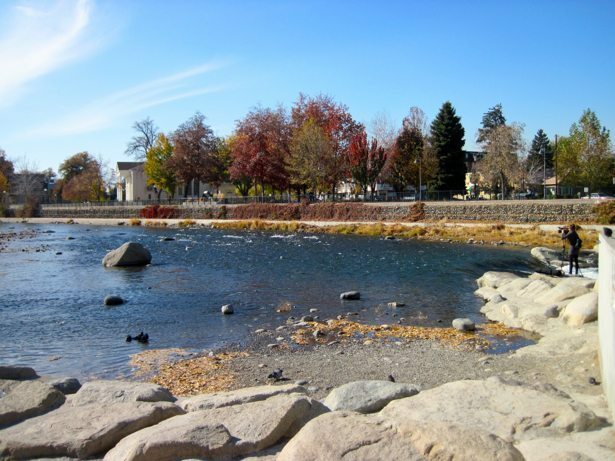 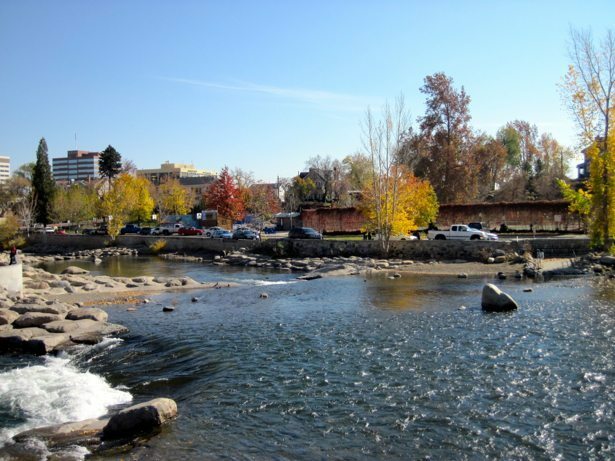 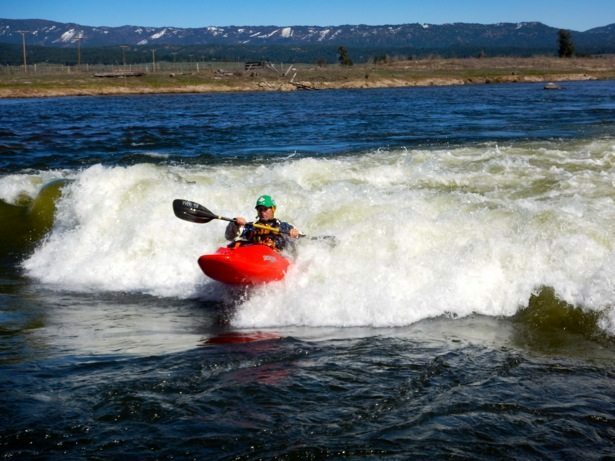 The Truckee Whitewater Park is located in downtown Reno, Nevada. 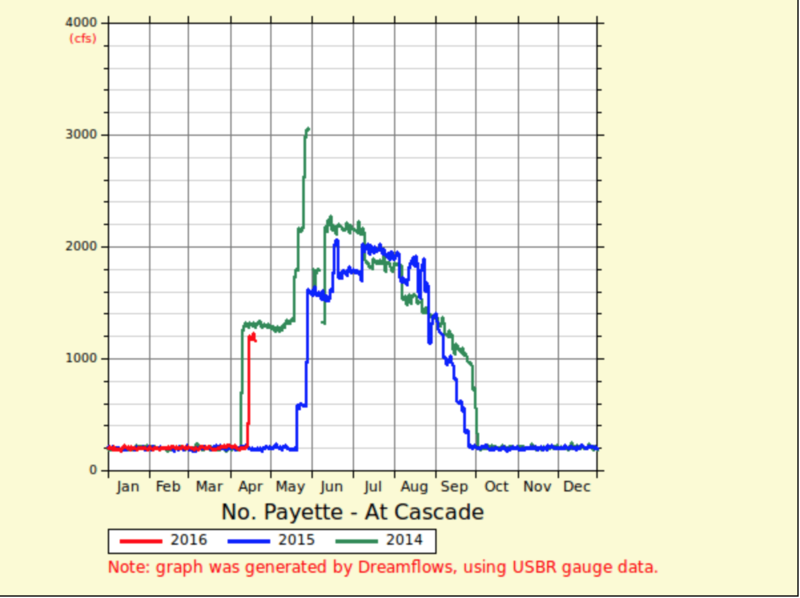 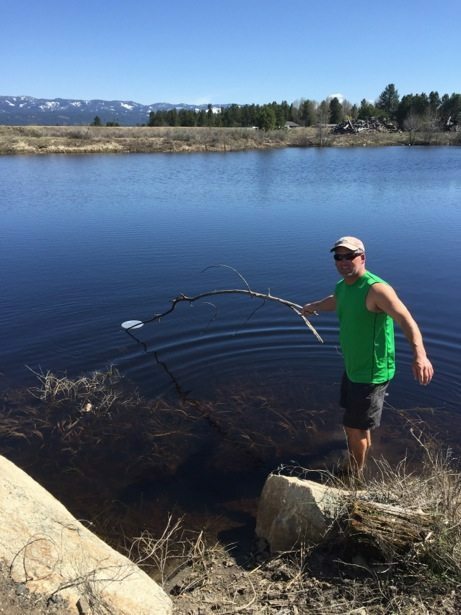 We have been trying to paddle here for three years so were excited to hear last week that the water was flowing (compared to our last visit where only the ducks were playing…). 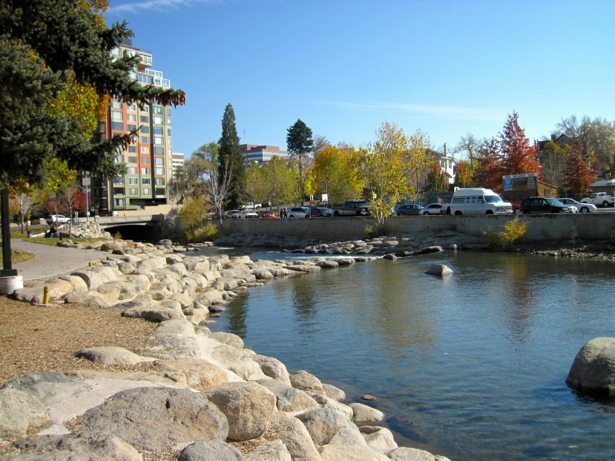 As the park is located downtown and has other amenities (tennis, basketball, walking etc.) 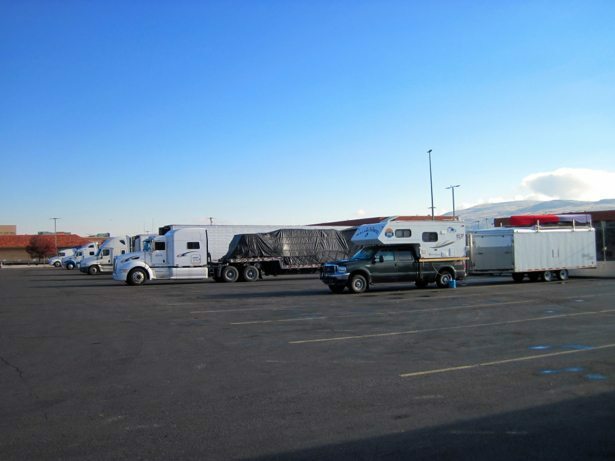 we learned that we needed to get there well before lunch in order to get a parking spot, or two, or three to fit into! 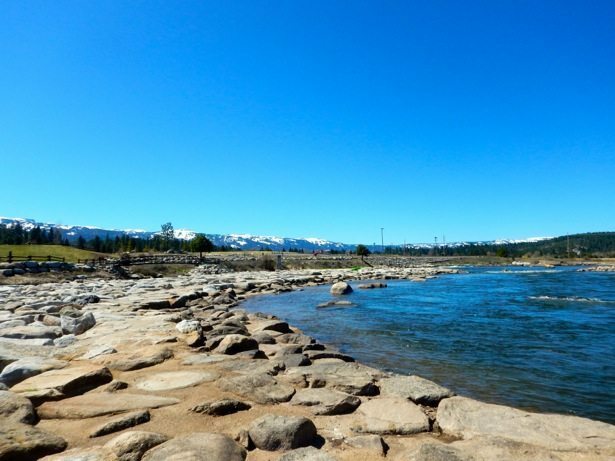 There are two channels in the park. 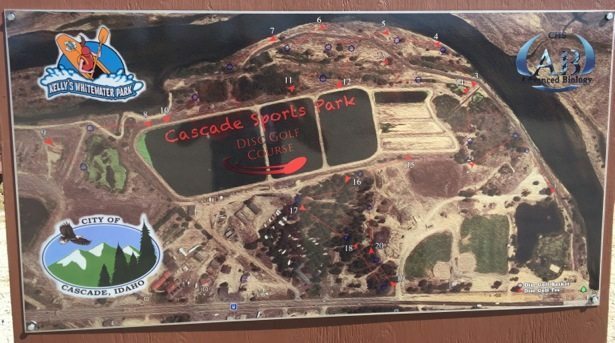 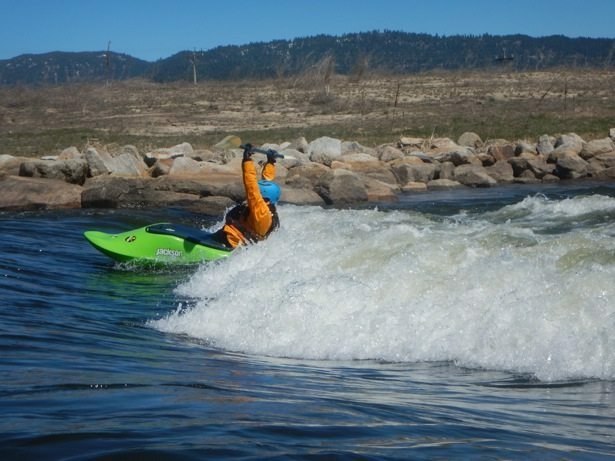 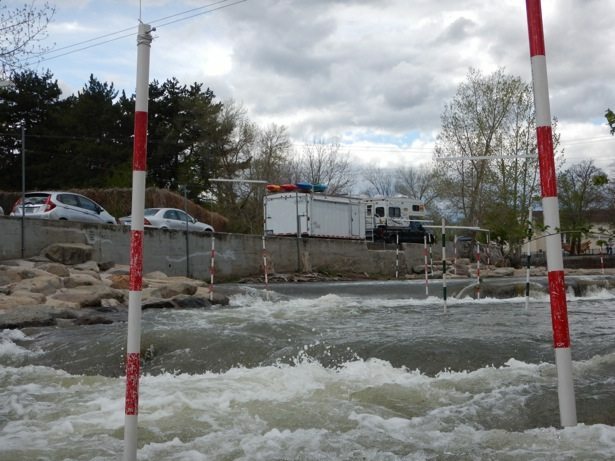 The channel closest to the parking area has a slalom course and makes for a great warmup lap – fun little surf features and a good set of gates to practice precision moves on. 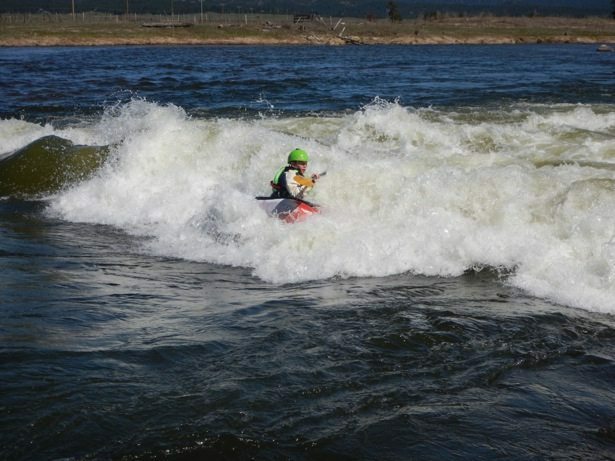 Wave 3 is also referred to as the competition wave – it is a slight hole but also has a green tongue section for front surfing. 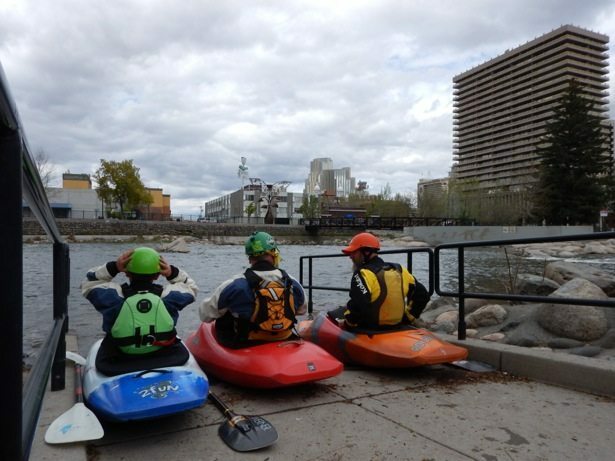 It was a great place to build confidence and experiment with old and new tricks. 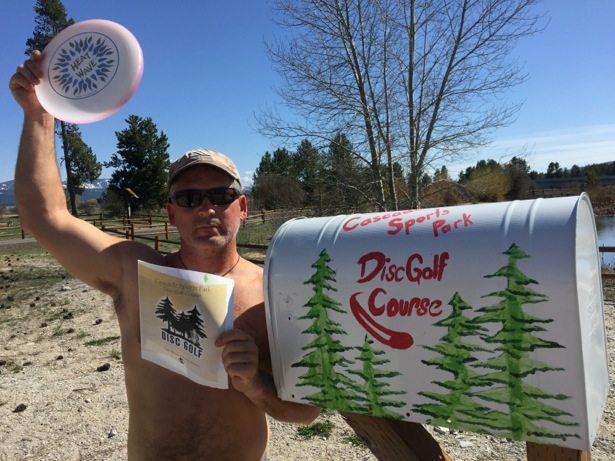 Peter Holcombe showing that old guys can still throw loops! 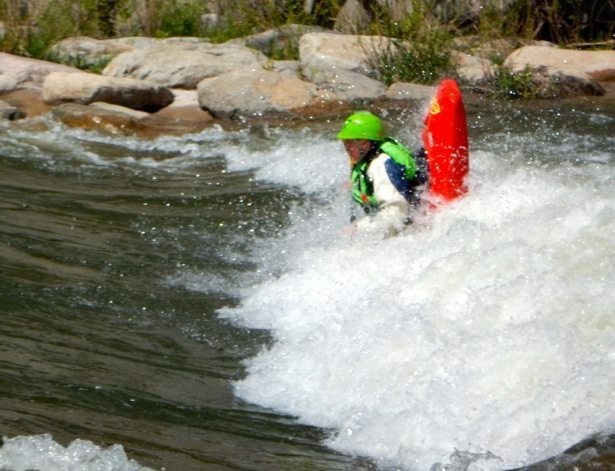 Nathan O’Connor getting some AIR! 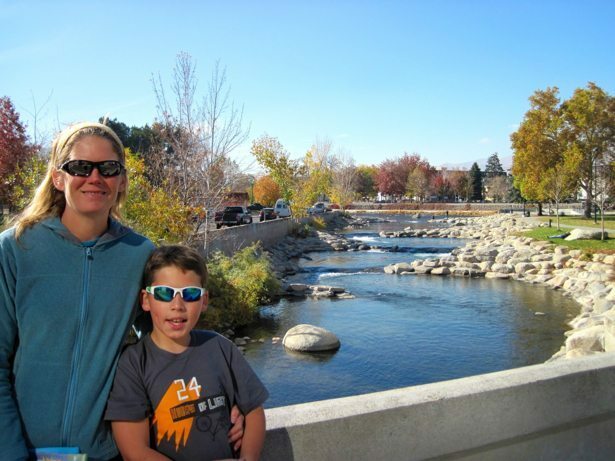 We were lucky to venture to Reno with our new friends the Holcombe’s (a full time travelling family) and then to meet the O’Connor clan as well. 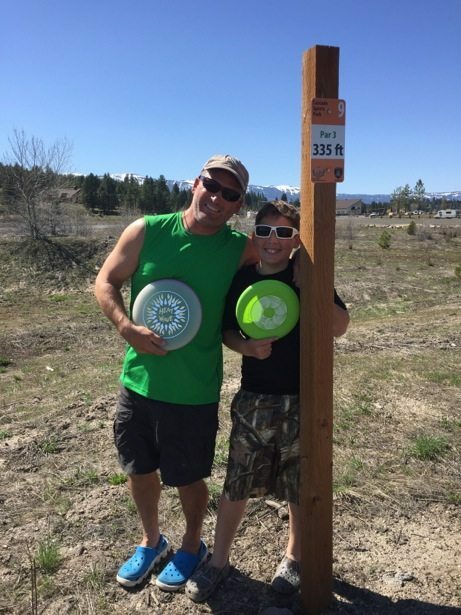 Hunter was able to borrow a small Rockstar from the O’Connor boys and LOVED it…which is great as we have a new to us Rockstar sitting in Calgary waiting to be picked up. 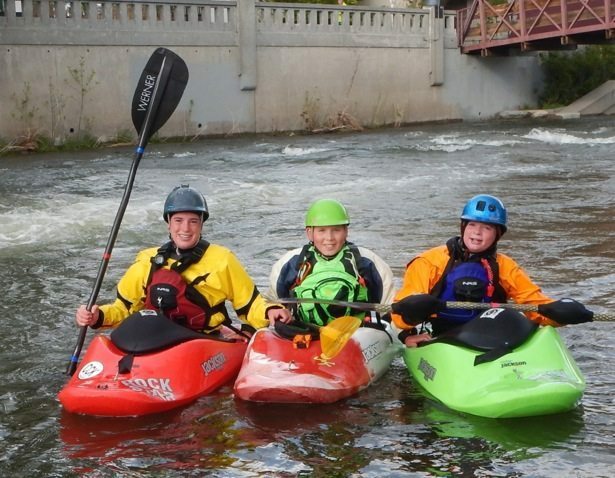 With his new friends cheering him on he pushed his comfort zone and tried his first loop!